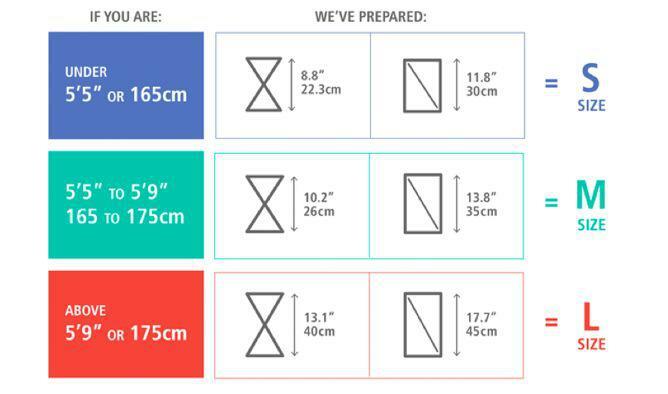 Levit8 is an affordable flat-folding portable standing desk that uses origami folding techniques. Another day, another standing desk design. 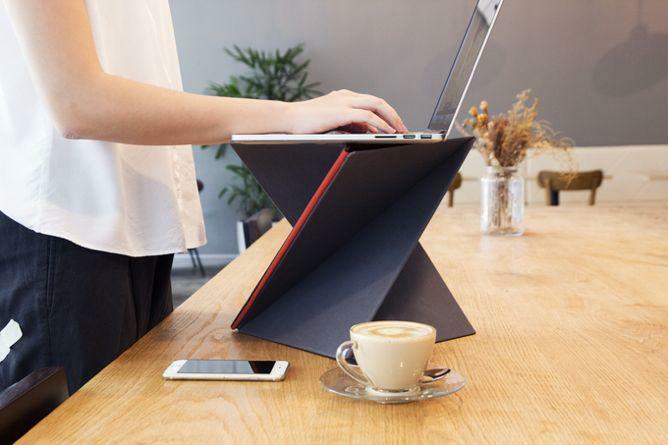 But a new entry into the category of portable laptop desks that allow you to stand up at a moment’s notice has a welcoming price point (starting at $32) and a clever origami-inspired design twist that makes it look fun and easy to set up and break down. 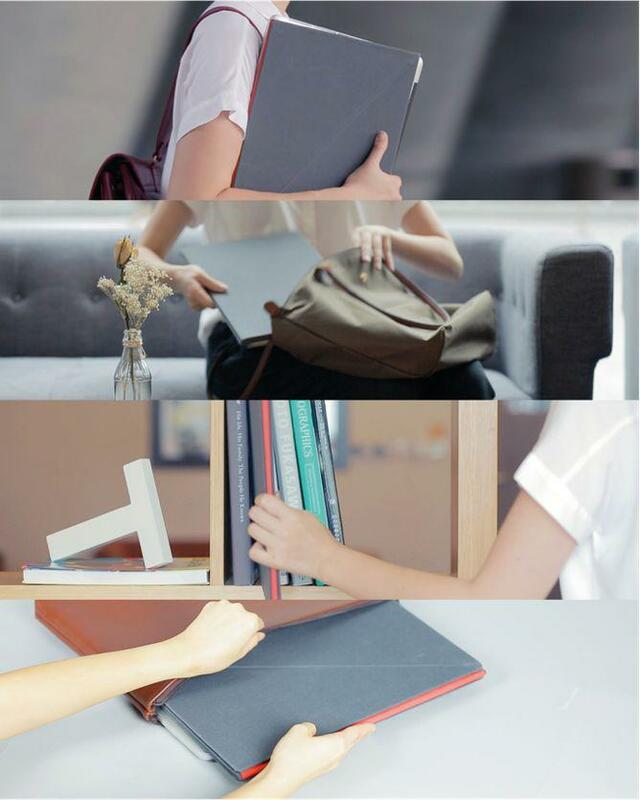 Using “an age-old box-twist folding technique,” according to a project description, the stand simply pops up for immediate use or collapses into something resembling a file folder that can be shoved in a backpack or stored on a bookshelf. Levit8 is currently raising funds on Kickstarter, where it has already surpassed its $4,000 goal. Those who want to give it a try should keep in mind that the product isn’t scheduled to ship until June.